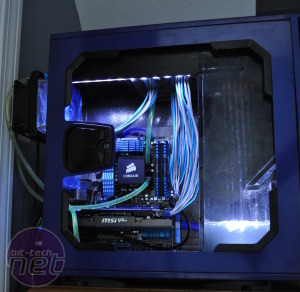 PC cooling is one of the most diverse and interesting markets for PC enthusiasts and manufacturers alike. 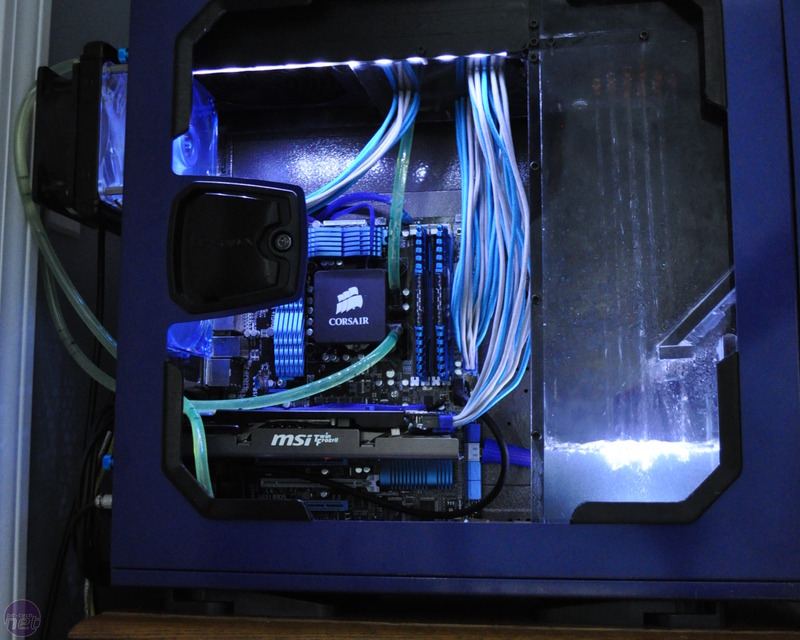 Water-cooling has been with us for nearly two decades, while heatsinks have evolved unrecognisably from the original lumps of metal that were used when CPUs first became a little toasty. 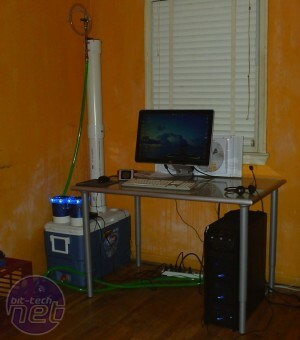 We've also seen thermo-electric cooling and refrigeration used in the day-to-day running of PCs. InitialDriveGTR has been perfecting the art of another form of cooling, though - evaporative cooling. 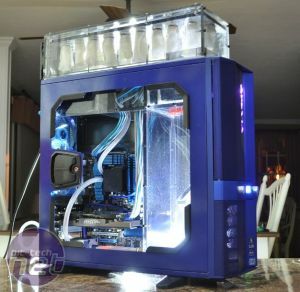 Not only has he fully integrated this interesting and scientifically-sound method of removing heat from your liquid-cooling system, but the end result is an awesome-looking project that is a fantastic case mod in its own right. I suppose a little background on evaporative cooling is in order. 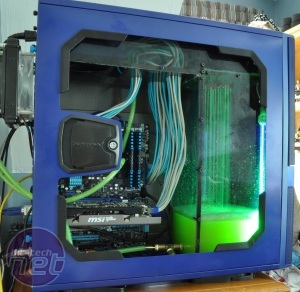 I’d say back in the mid 2000s a lot of people were experimenting with alternate methods for removing the heat from a liquid cooling system. A tub with a lid, and a long plastic tube with a shower head in the top was one of the first I had ever seen. 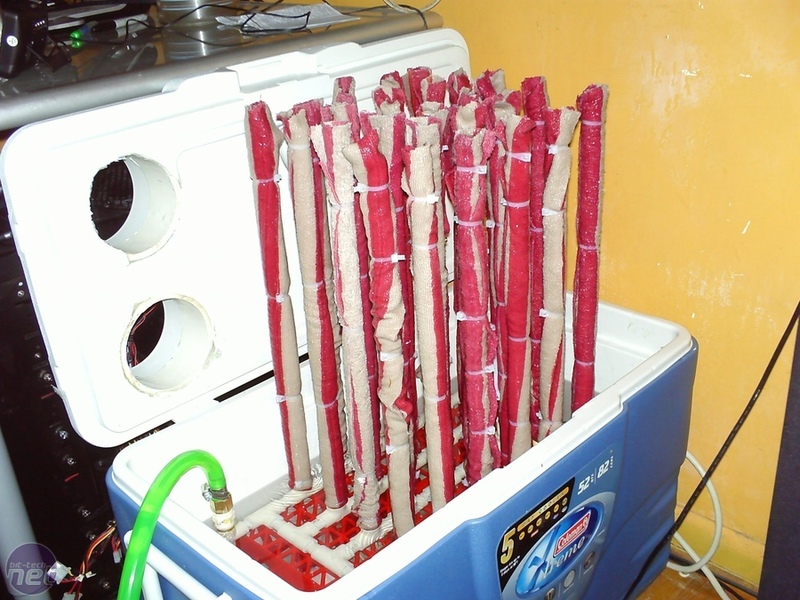 A lot of people know these as 'Bong Coolers', presumably due to their resemblance to the smoking paraphernalia. 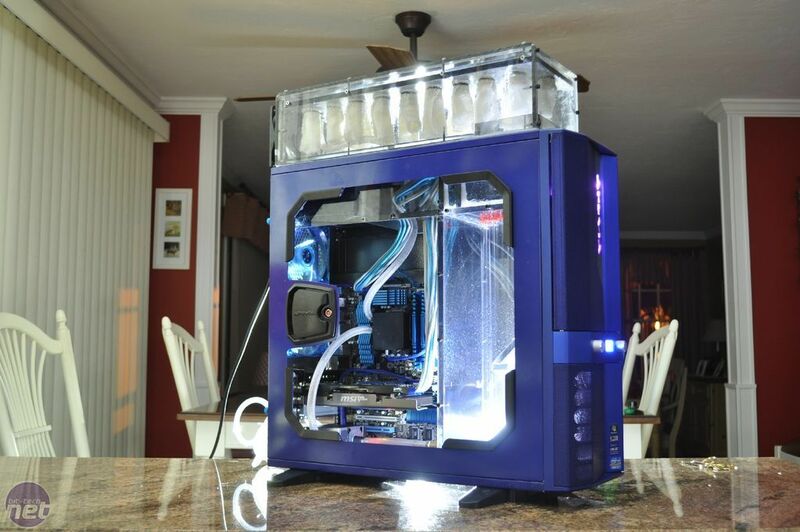 The general concept is that you take your hot water from your cooling loop, and let it fall down the tube to the bottom, where it’s then pumped back into the cooling loop. Alone, this isn’t a very effective cooling method. 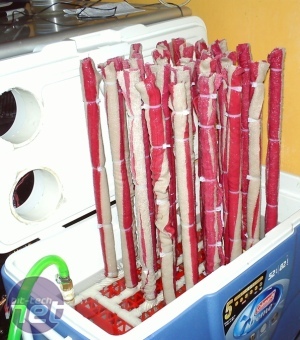 Add a fan that draws air into the bottom portion of the cooler however, and you have a completely different story. As the cool dry air is pushed into the cooler, it moves upward, out a vent at the top of the tube, or just simply around the shower head. As the air moves upwards, it gains humidity from the falling water droplets in the form of water vapor. So essentially, evaporative cooling is a method of cooling the water by evaporating the hottest water, and leaving the colder water. 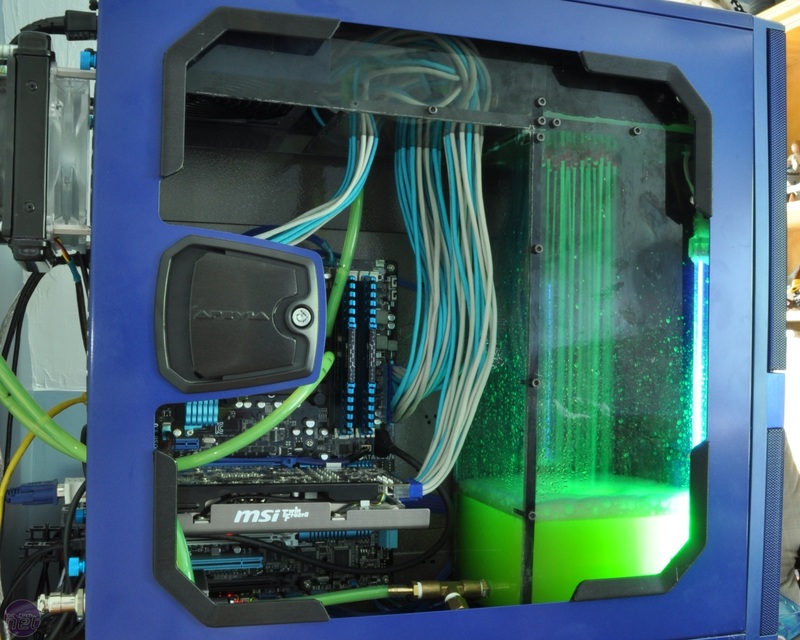 This method has been shown in some cases to achieve sub-ambient temperatures, something not possible with a traditional radiator based liquid cooling system. The biggest drawbacks however, are their size, and the fact that they evaporate water. It had one major issue however. The hot water would fog up the inside of the reservoir, and I couldn’t see anything, defeating the purpose. 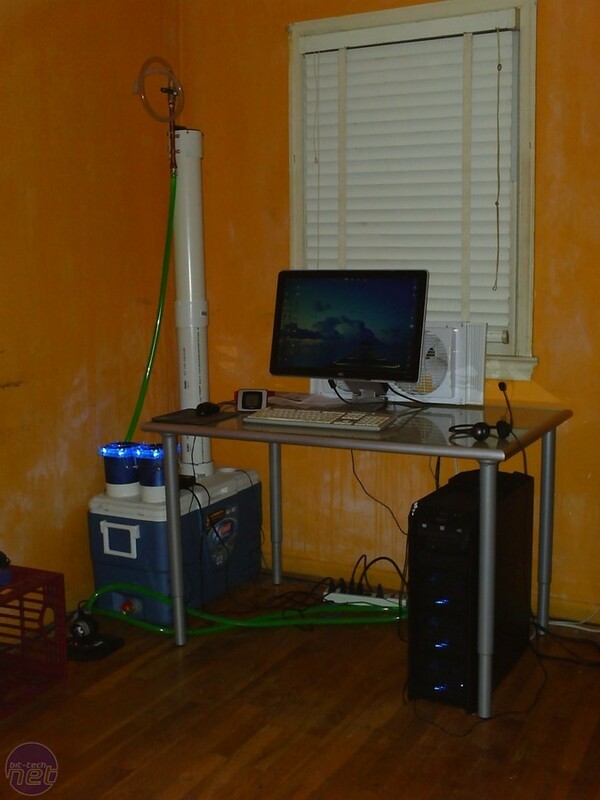 So I started researching ways of dehumidification, and discovered evaporative cooling.